Statistical Analysis of Contingency Tables is an invaluable tool for statistical inference in contingency tables. It covers effect size estimation, confidence intervals, and hypothesis tests for the binomial and the multinomial distributions, unpaired and paired 2x2 tables, rxc tables, ordered rx2 and 2xc tables, paired cxc tables, and stratified tables. For each type of table, key concepts are introduced, and a wide range of intervals and tests, including recent and unpublished methods and developments, are presented and evaluated. Topics such as diagnostic accuracy, inter-rater reliability, and missing data are also covered. The presentation is concise and easily accessible for readers with diverse professional backgrounds, with the mathematical details kept to a minimum. For more information, including a sample chapter and software, please visit the authors' website. Morten W. Fagerland, Ph.D. is Head of the Section for Biostatistics, Epidemiology, and Health Economics at Oslo Centre for Biostatistics and Epidemiology, Oslo University Hospital, Norway. Stian Lydersen, Ph.D. is a Professor of Medical Statistics at Regional Centre for Child and Youth Mental Health and Child Welfare, Norwegian University of Science and Technology, Trondheim, Norway. Petter Laake, Ph.D. is a Professor of Medical Statistics at the Department of Biostatistics at Oslo Centre for Biostatistics and Epidemiology, University of Oslo, Norway. "The contingency table is one of the simplest and best explored methods for summarising and analysing. 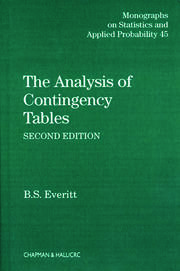 This extensive book covers all areas of contingency table analysis. The initial chapters describe in depth, and with examples, one particular type of table, characterized by size (the number of rows and the number of columns), whether the variables are ordinal or nominal, whether the tables are stratified or not, and whether the observations are paired or unpaired. Other chapters consider meta-analysis, sample size issues, and inter-rater agreement studies. The style of the book reflects the simplicity of the subject. Each topic is considered on its own merit, and the latest research in this topic is discussed and illustrated. The mathematics is easily accessible. This book is encyclopaedic in its coverage and would be useful to graduate students and all applied statisticians who are always dealing with contingency tables." "This encyclopaedic book deals comprehensively with statistical methods for data arranged as one and two dimensional contingency tables and stratified data. The detailed evaluation of the performance of various competing methods heeds recently developed as well as more traditional criteria. Numerous practical examples are given, mainly from the healthcare domain, alongside Matlab and R code for all the methods recommended. I strongly recommend the book both to statisticians and to researchers in health and social disciplines." "This 600+ page book comprehensively covers the analysis of one-, two- and three-dimensional (stratified) contingency tables. Such low-dimensional tables are the types of contingency tables that most researchers encounter in real life. The book is primarily for practitioners at Master’s and/or PhD level. This book is highly recommended because it covers over 250 analytic methods, includes up-to-date material typically only found in specialist journals, evaluates alternative analytic methods, makes recommendations for their practical use, and illustrates the use of the methods on real life data. A companion website provides Matlab- and R-code for almost all the methods described. The book is unique because it is so comprehensive and up-to-date, its chapters are to a large extent self-contained so that the analyst will find all they need to know in the relevant chapter without having to read the preceding chapters, and the recommendations make the book more practically useful than other texts. In summary, an essential book to own if you analyse low-dimensional contingency tables." "The authors provide an in-depth survey of the overwhelmingly large number of methods that are now available for conducting statistical inference with contingency tables. 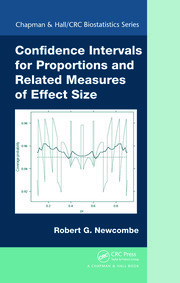 What sets this book apart from others is its detailed performance evaluations of the confidence interval and significance testing methods, followed by recommendations about what to use for various purposes. This book should be a very useful reference for anyone who wants an overview of the relevant literature (much of it quite recent) or who routinely needs to analyze contingency tables." 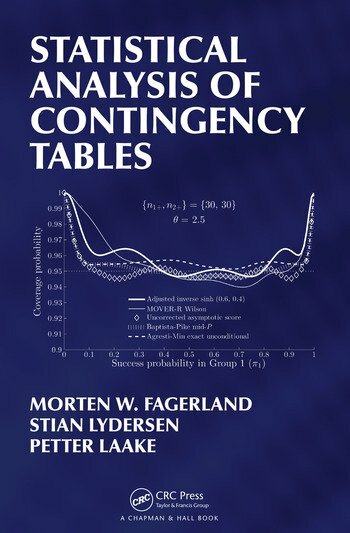 "This statistical text on the analysis of contingency tables has three outstanding features. It is comprehensive without being unwieldy; it maintains an ideal balance between theory and application; and it is consistently systematic. For each type of contingency table structure it deals with, it covers a variety of analytic methods, assesses the properties of each method and gives appropriate recommendations. Further, each section has a relevant, illuminative practical example. 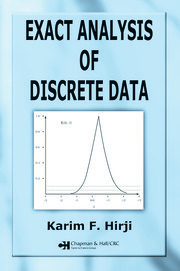 I highly recommended it for masters and doctoral students in statistics, biostatistics and epidemiology, instructors and researchers in those fields as well as applied researchers in the social sciences, psychology, public health, medicine and other fields requiring the analysis of discrete data."